Take a seed, drop it in soil, water it consistently and watch the plant grow. This simple breakdown of a very complex interaction between soil and plant does not take into account some vital factors, which year by year affect our global food supply. While the above process sounds simple, nature is not simple or straightforward. There are many factors that determine whether or not a plant receives enough water to produce crops, some visible and not so visible to the eye. The combined effect of all factors is known as the ‘evapotranspiration process’- ET. The biggest factors to impact ET are: solar radiation, air temperature, air humidity and wind speed. 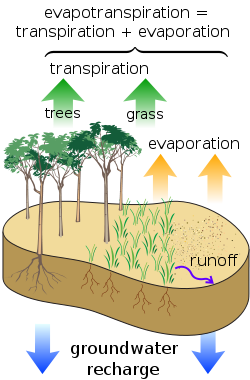 Each of these factors impacts the balance by which water transfers from soil to plant and to the atmosphere. 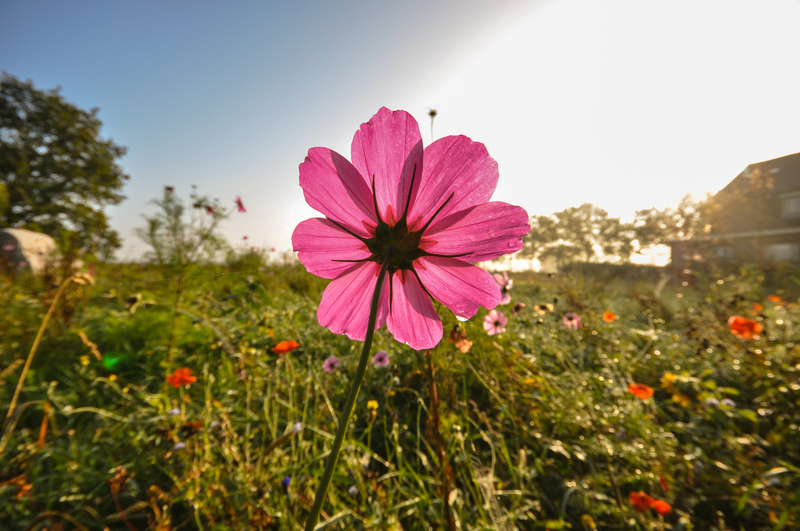 At the early stages of a plant’s growth much of the water is lost to evaporation from soil. At this stage the plant is small, has almost no leaves to provide shade for the soil, and has undeveloped roots, which don’t absorb a lot of water. During this development stage using drip irrigation (where water is distributed directly to the area where the seed is, or where the stem is starting to sprout), insures that water is not wasted and that the right amount is given directly to the plant. So what is transpiration then? It’s the transfer of water from plant to atmosphere. A plant ‘breathes’ through its leaves. It takes in water with nutrients from the roots and transports it up throughout the system. At the end of this transfer gases and water vapor escape from the leaf through openings called ‘stomata’. Due to climate change, temperature rise has put more stress on ET, increasing the rate at which water leaves the soil. Dry soil is unable to retain enough moisture and maintain a high nutrient level to feed the crop. Without enough water and proper soil conditions, crops don’t sprout evenly and yields are significantly cut down. The ET concept might sound alien to most (pun intended), especially its technical aspects, but the idea in a nutshell is fairly simple. We live in a bubble where each system is connected and influenced by the other. The success of a crop doesn’t just stop at soil and water, it includes, wind, solar radiation, temperature, air humidity and much more. In our own lives, the success of our development doesn’t stop at education and family status. Much of how we grow depends on our environment, the friends we’re exposed to, the role models we have, and the type of love we get from people that matter. Sometimes, when love is missing within a family we can find it in a teacher or friend who can guide us and steer us to enriching environments. When faced with a problem, or dealing with individuals who are fighting their own battles, it is easy to jump to conclusions over basic aspects such as – economic, academic and other physical factors. The reality is usually more intricate and some factors are just not visible or comprehensible to us. Remembering ET can help us be more understanding of individuals and crops that don’t live up to their full potential. It reminds us that just because it’s the case now, it doesn’t mean that there is something intrinsically wrong with the object, but more often it’s the environment in which it grows. And look at that – I just took a complex reality and simplified it to a quote. I guess certain cycles are difficult to change, but as long as we understand them we can have a more wholesome picture of our life on Earth and how everything is truly connected. Here’s to connecting with the world and each other. Posted on November 1, 2015 November 1, 2015 by saynotofoodwastePosted in BlogTagged agriculture, environment, food, water.